Bridges and other major construction projects are not cheap. They require a lot of planning as well as skilled labor. That is why cities must be prepared to shell out millions of dollars for new buildings and bridges in the area. Many motorists in Florida travel in Interstate 275 near the Howard Frankland Bridge. In 2024, a new portion of the bridge will open up. To plan for this expansion, the Florida Department of Transportation is currently seeking bids for the project. The agency is prepared to pay a record $814 million to the contractor who is awarded this job. The contractor chosen for the project will be in charge of designing and building an eight-lane bridge to link Pinellas and Hillsborough counties. The bridge would also include a pedestrian trail and bike trail. Four lanes of traffic will go south, toward St. Petersburg. There will also be four express lanes, with two lanes in each direction. Only those who pay a toll can drive in those lanes. The amount of the toll can vary based on demand. History. The $814 million estimate is larger than last year’s estimate of $750 million. The bid will be awarded sometime next year. Construction should start in 2020, with the goal of the Howard Frankland Bridge being completed in 2024. Because the current portion of the bridge will stay open while construction is underway, there should be minimal impact to traffic. However, once the bridge is completed, the traffic patterns will switch. The southbound span will end up going north toward Tampa. The new portion of the bridge will move traffic south toward St. Petersburg. This means that the existing portion that goes north will be torn down, as it was built in 1960 and is getting too old to be used. Multiple plans have been proposed for the bridge. In 2016, a toll was proposed for one lane, which meant that the three other lanes would be congested. The state received backlash for this idea and it was scrapped. A different option was proposed last year. The state proposed to build a six-lane bridge. Each direction would have a toll lane. The total cost was estimated at $630 million. But there were concerns again about buses and crashes in the toll lane slowing down traffic. This led to the current design for the bridge, and the state is moving forward. Building a house, retail shop, bridge or any other structure requires a ton of planning. It also requires cooperation with architects, subcontractors, engineers and other entities. Trying to coordinate all this not an easy task. Managing your project in a way that everything goes smoothly requires professional help. 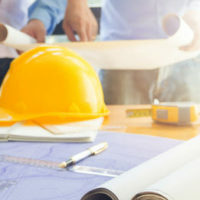 Let Orlando construction and development contract lawyer B.F. Godfrey from Godfrey Legal guide you through the process. Construction contracts can be a confusing area of law, so let him answer your questions. Schedule a consultation by calling (407) 890-0023 or filling out the online form.